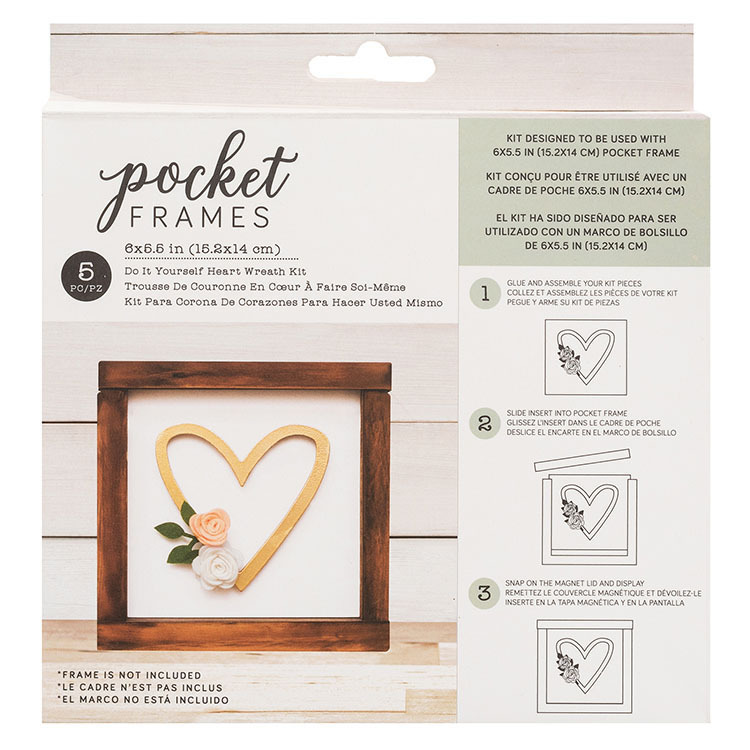 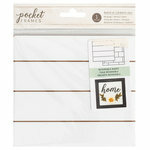 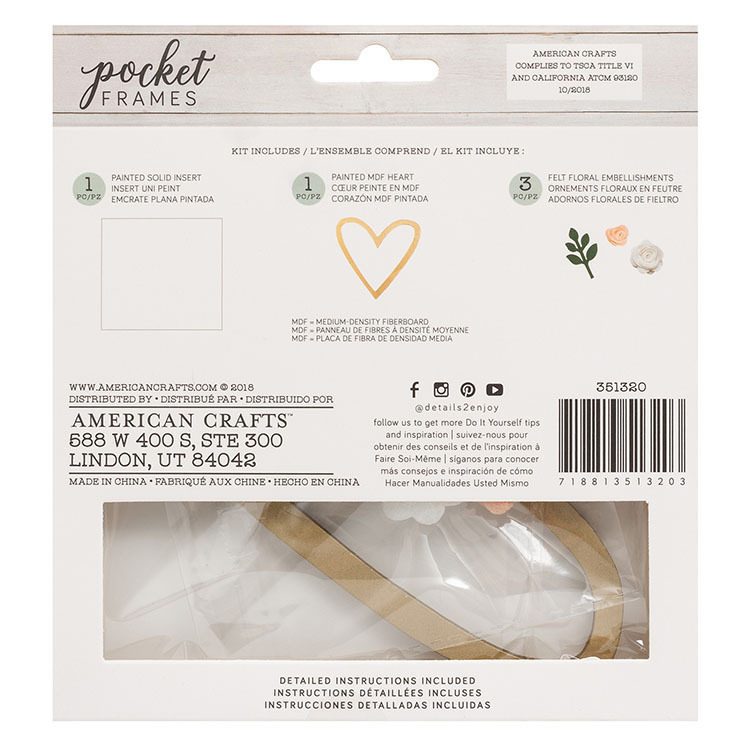 Add love to your Do-It-Yourself project with the Heart Wreath Pocket Frames Kit from American Crafts. 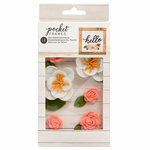 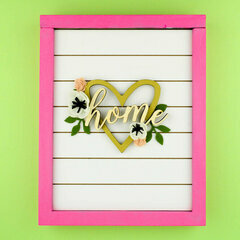 The package includes 1 painted 6" x 5.5" shiplap insert, 1 painted heart shape and 3 felt pieces. 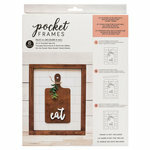 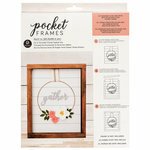 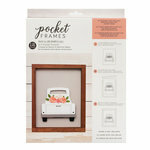 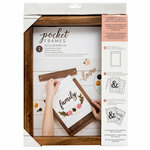 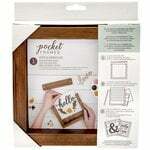 The kit is designed for use with 6" x 5.5" Pocket Frames from the Details 2 Enjoy Collection (sold separately).